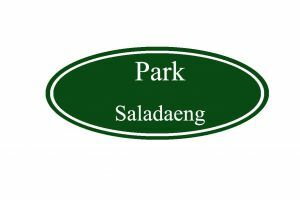 Welcome to... Park Saladaeng Park Saladaeng is located in the heart of Bangkok?s Silom-Saladaeng area on Soi Yommarat. We are located in walking distance from the Saladaeng Station on the BTS Sky Train, and the Silom MRT Subway station. Our 3 story walk up town house has 9 rooms.All rooms are decorated with a blend of traditional and contemporary Thai accents.